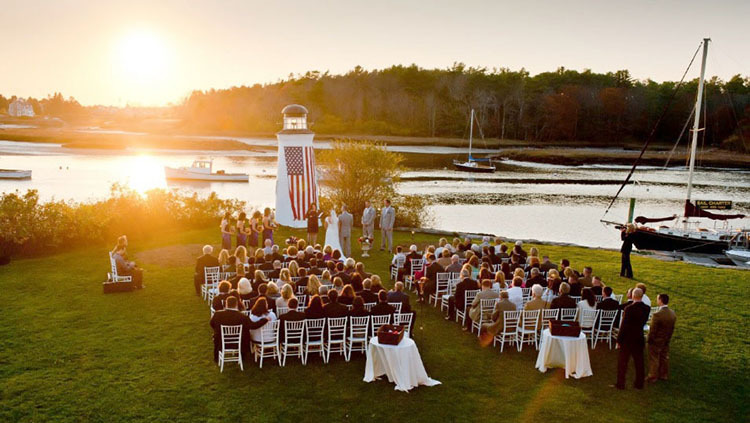 This idyllic seaside resort town just 1.5 hours north of Boston makes the perfect destination for your special Wedding and Wedding Reception. 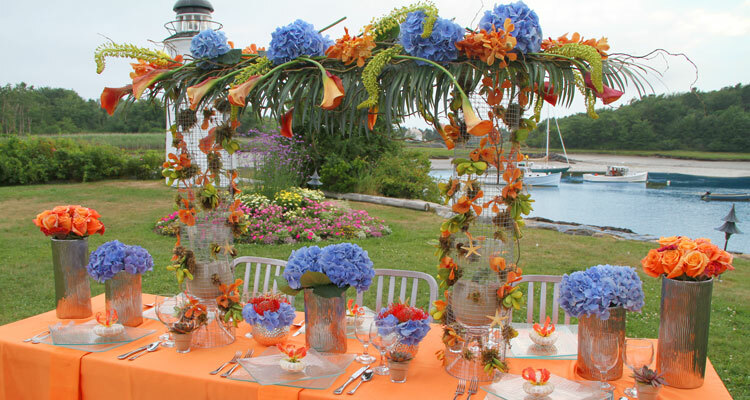 Kennebunkport and Kennebunk Beach offer Churches, Reception Halls and plenty of lodging options for your guests. Plus your wedding party will love the wide variety of activities to choose from before or after the big event including great golfing, whale watches, lobster boat tours, beaches and Dock Square with its fabulous shops and restaurants. 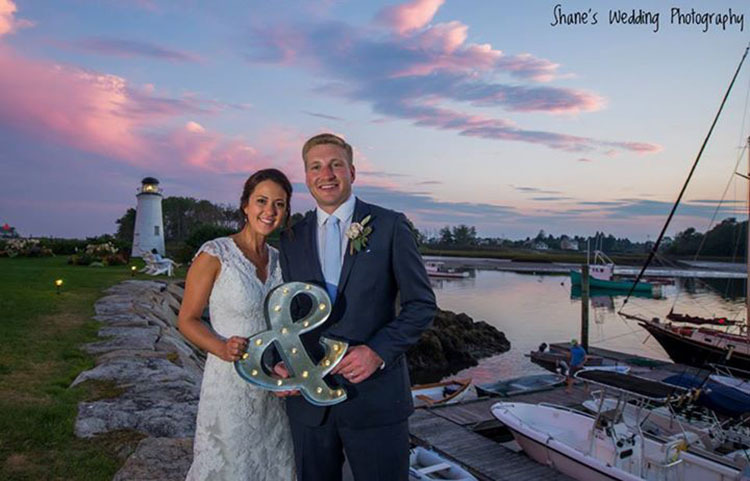 And of course there is the Kennebunkport area’s stunning coastal beauty allowing you the ultimate wedding and wedding photo opportunities. The Chart Room is perfect for wedding receptions of up to 80. Or put up on tent on our spacious grounds. Kennebunkport’s only resort with indoor & outdoor heated pools, indoor & outdoor hot tubs, sauna, fitness center & function room. Great location less than a quarter mile from the ocean and one mile from Walkers Point and Dock Square. A resort with all the amenities… Attractive room rates. Open year round. 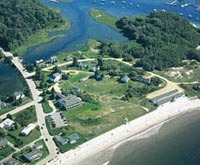 Oceanfront Resort directly on Kennebunk Beach with 22 Room Oceanfront Inn. Ocean view and Beachfront Lodging with Ocean on one side and river frontage on other side of resort. Free Wifi. Free Bikes. Hot Tub with Ocean views. Special Off-Season Packages. Family Innkeepers since 1667. Open year round. Kennebunkport’s beachfront address. If staying directly on the beach is what you had in mind then you simply must visit the Seaside. 80 Beach Avenue, Kennebunk Beach, Maine. Toll Free: 1-800-967-4461 Phone: 207-967-4461 Fax: 207-967-1135.